The comfortable sprung seat of this dining-room armchair is possible due to the curved tube frame. 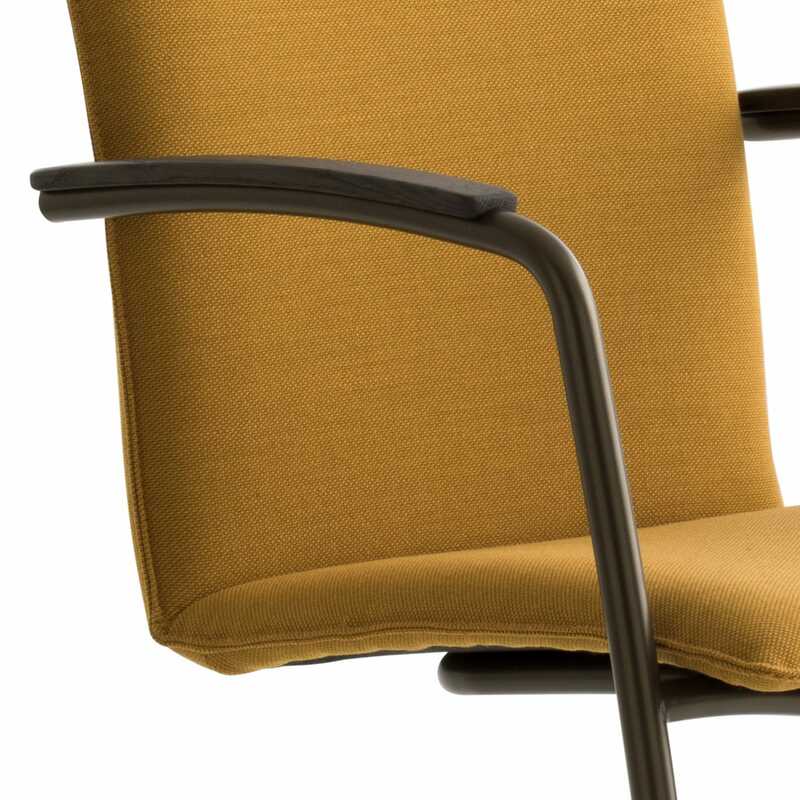 LX141 is available with and without armrests in solid walnut or oak. It is, however, also possible to have the armrests upholstered in leather. 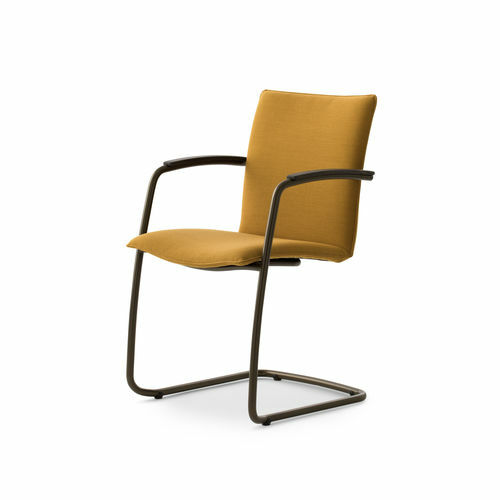 The seat and the back can be upholstered in any type of leather or fabric. The frame is available in a chromed or epoxied base.